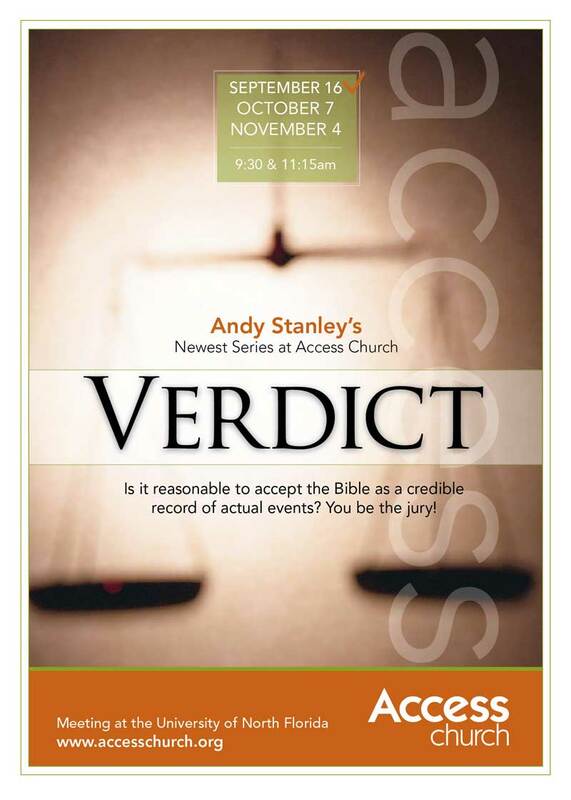 Andy Stanley's newest series at Access Church: Verdict. Is it reasonable to accept the Bible as a credible record of actual events? You be the jury! Access Church. Meeting at the University of North Florida. First and third Sundays, 9:30 & 11:15am.